Stack the odds in your favor by adding this Duplex pen to your advertising campaign! 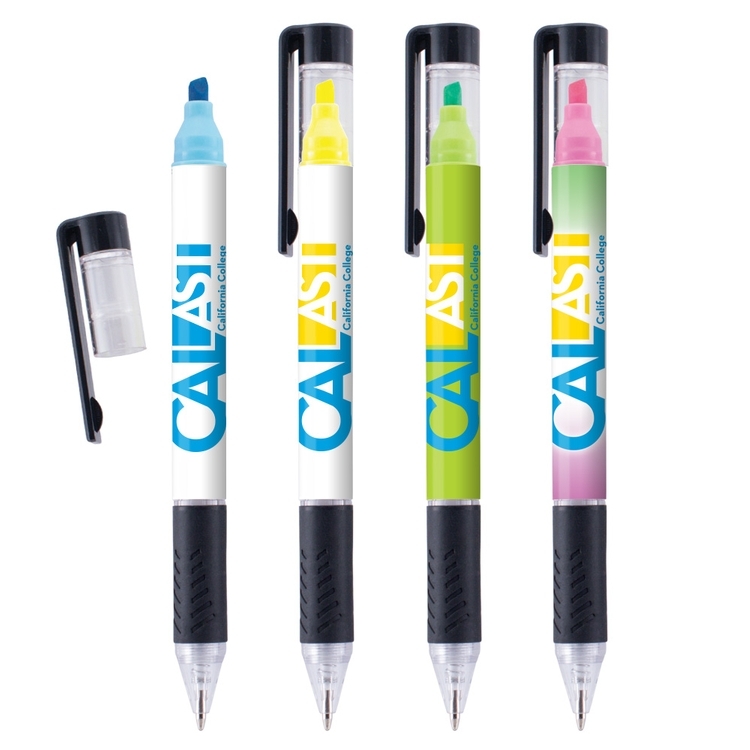 The pen combines a black medium ballpoint with a yellow, blue, pink or green felt tip highlighter at the opposite end. Facebook and twitter icons can be added to your layout at no additional charge. An imprint of your company's name and logo will help spread your brand near and far. It's a useful promo tool for banks, educational facilities, restaurants and any other corporation that writes down any information at all. Customize yours today! Imprint Area: 2.88" x 1.497". Safe area: 2.613" x 1.26"
5.84"(L) x .46"(D) Circumference: 1.45"